조선시대(15세기) 이 책은 명나라 임강(臨江) 통수(通守) 섭윤현(葉尹賢)이 증험하여 편집한 의가비전(醫家秘傳)의 질병 처방인 『의가비전수신비용가감십삼방(醫家秘傳隨身備用加減十三方)』과 『경험급구방(經驗急救方)』을 한데 모아 조선전기에 간행한 의서(醫書)이다. 감기·독감·복통 등 13방에 대한 처방, 쓰이는 약재 등과 건강 장수베개를 만드는 부록이 있으며, 권하(卷下)에는 치곽난토사(治霍亂吐瀉)부터 구사부지(久瀉不止)에 이르는 37방에 대한 구급의 의방(醫方)과 약방문(藥方文)을 집성한 내용이 있다. 간행기록이 없어 정확한 제작 시기는 알 수 없지만 판각(板刻) 상태, 판의 형식, 서체, 지질(紙質) 등으로 보아 15세기에 간행된 판본으로 한국 의학사와 출판사 연구에 귀중한 자료가 되며, 국내에서 발견되지 않은 희소가치가 있는 의서이다. 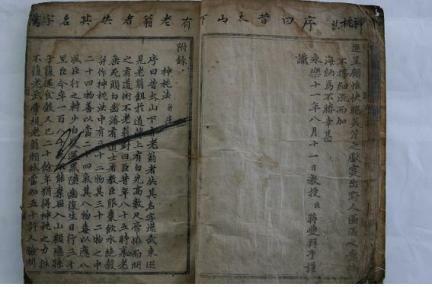 This 15th century medical book titled Jeunggeup yubang (Collection of Prescriptions for Emergency Treatment) was compiled by combining two earlier Chinese books on knowledge handed down among medical experts: Yijia michuan suisen beiyong jiajian shisan fang (Thirteen Methods to Add or Reduce Physical Preparedness Handed Down Among Medical Experts) and Jiangyan jiujifang (Empirical First-aid Methods), written by Ye Yinxian, an official of Linjiang during the Ming Dynasty. The two-volume book contains prescriptions for healing 13 illnesses including colds, influenza and stomachache, and necessary medicinal materials, and an appendix about making pillows that would help ensure health and longevity. The second volume provides first-aid treatment and drug prescriptions for 37 symptoms ranging from acute gastroenteritis to chronic diarrhea. As it has no publishing note, there is no way to know exactly when the book was made. 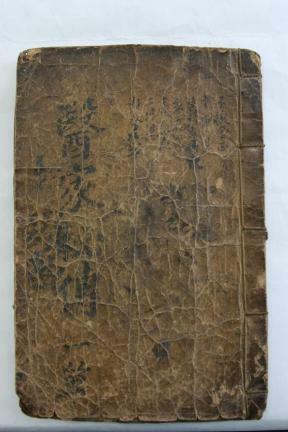 However, in view of the state of the printing, the format of the printing blocks, the font style and the quality of the paper, the book is believed to have been printed from woodblocks in the 15th century. 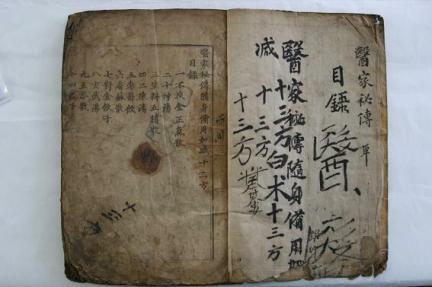 The only known copy of the book, it is valuable material for the study of the history of Korean medicine and publishing.